Observations during the first week of March 1999 were mostly aimed at acquiring quantitative and qualitative information about the Mars Orbiter Camera (MOC) in the environment in which it was originally designed to operate. Chief among the"calibration" data were measurements of the camera's focus, which is very sensitive to temperature because the magnification is so high. 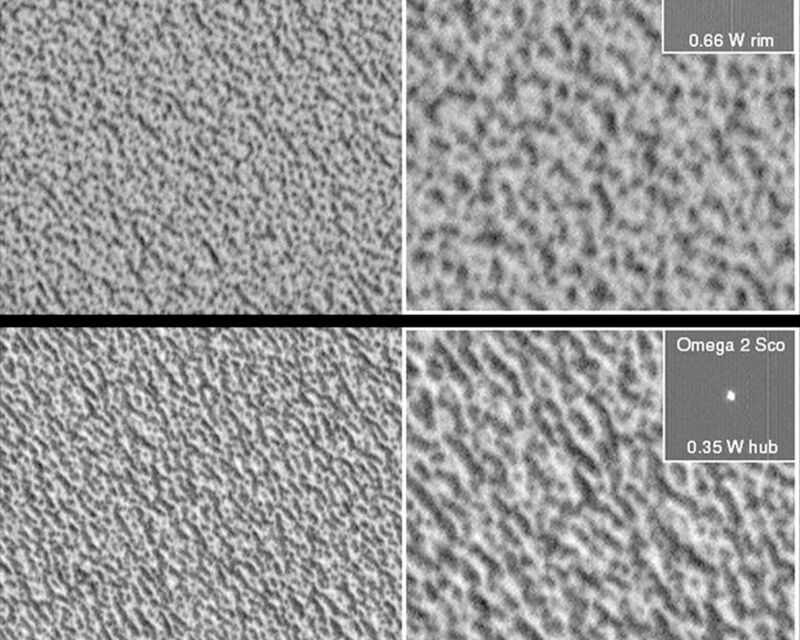 Using heaters around the rim (outer portion) and hub (inner portion) of the primary mirror to minutely change the shape of the mirror, pictures were taken of stars -- which are "point sources" for accurate measurement -- and of the north polar cap and polar dune fieldfor comparison between the theoretical quality of the image and the practical quality. Two representative focus conditions are shown here. 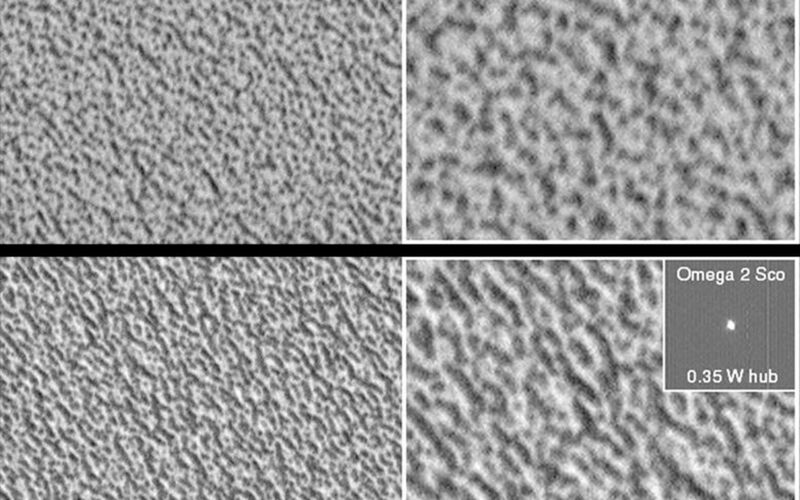 In each frame, the upper left corner of the left-hand image is shown enlarged 2-fold on the right. The star Omega 2 Scorpius is shown for comparison; its oblong shape is an indication of how far and in what direction focus lies. The closer to a symmetric "circle," the closer to focus. 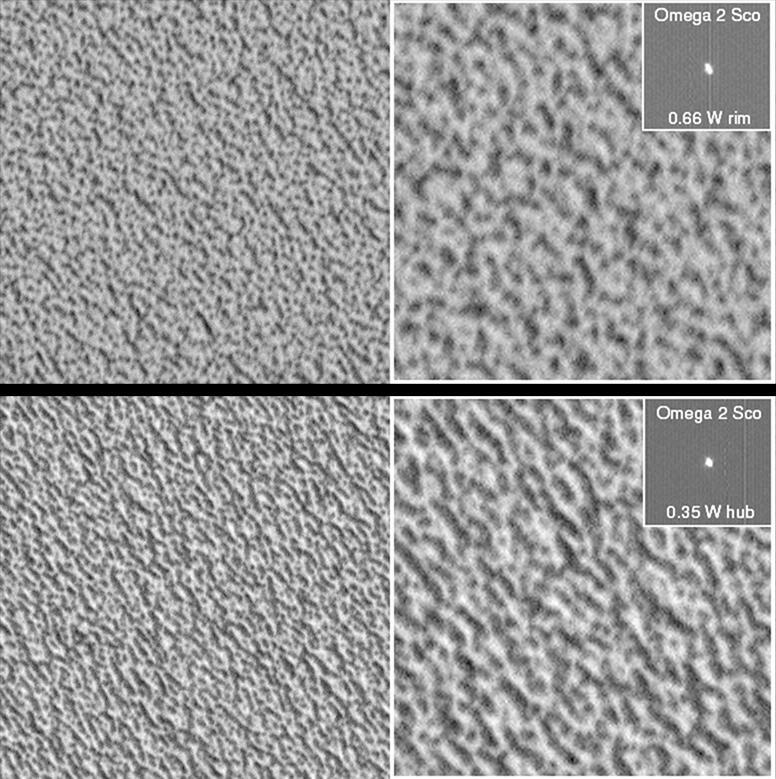 A comparison of the enlargements shows that subtle features are better discriminated in the image at 0.35 W hub (lower picture) than at 0.66 W rim (upper picture), indicating that heating of the inner portion of the mirror moves the camera closer to focus. The two MOC images show similar surfaces on the permanent north polar ice cap at nearly 1.5 meters (5 feet) per pixel. 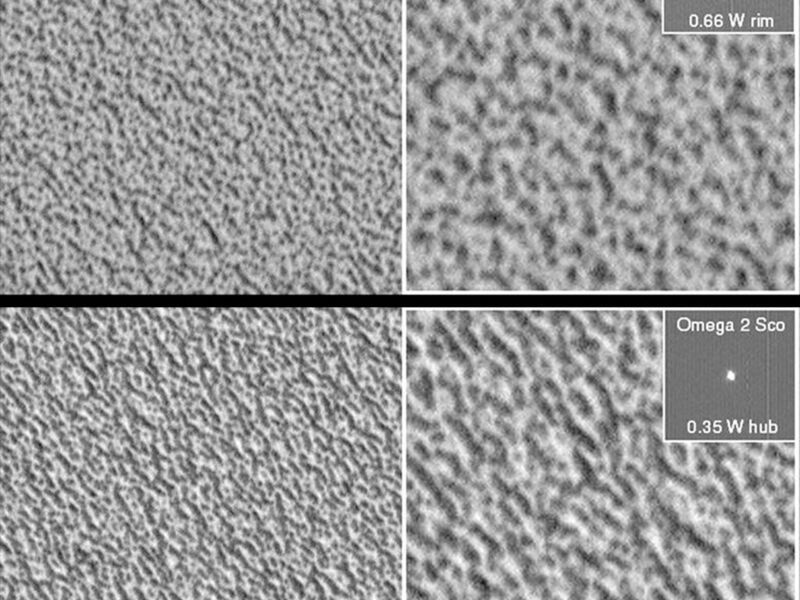 Each image (left side) shows an area about 578 meters (631 yards) wide; illumination is from the upper right.